Everyone knows that when it comes to gardens, there is a time to reap and a time to sow. But many people don’t realize that there are also times when it is good to just let your garden rest. Many plants can be harmed much more quickly by too much attention than by too little. Certainly too much water or too much of any chemical is going to harm the plant, the beneficial critters and the surrounding environment. And even the strongest plants can only tolerate a limited amount of pruning and “rearranging” in the garden. Even soil that is continually worked can suffer, eventually becoming worn out and depleted of the nutrients that help your plants grow. Gardeners, too, can benefit from a rest. Taking time away from the chores and duties of maintaining a garden and spending a little more time just appreciating and enjoying it is a great way to restore a tired gardener’s enthusiasm. The Metro DC Lawn and Garden Blog was started in June 2010, and in the past two years, we have shared over 710 posts about the joys and environmental benefits of green gardening. We have planted many of the things we have learned about gardening into this blog, added the knowledge and insights we have gained from our readers and local garden enthusiasts, and have created a garden blog that is brimming with information for you to come and wander through and pick and enjoy. And now, it is time for us to rest. All of our great posts will still be out here for you to enjoy. You can use the Topic Index page (located from the horizontal menu bar), the Search this Blog input box to search for a specific topic or click on one of the Labels in the right sidebar. 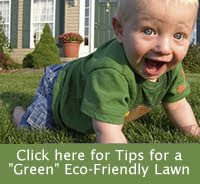 For information that you don’t find on the Metro DC Lawn and Garden Blog, the Eco-Friendly Resources page (also available in the horizontal menu bar) will lead you to many other great websites in the area that are brimming with information to help you continue with your gardening efforts. It has been a wonderful pleasure and honor creating and sharing this garden blog with you. I hope that you will come visit it often. I can’t wait to see what the next seasons bring us all!